National Health Service (NHS) hospitals across England could save more than £100 million a year and significantly reduce their carbon footprint simply by encouraging staff to use the stairs. The savings would be achieved if just 15 per cent of England’s 350,000 NHS hospital nurses stopped using hospital lifts and used the stairs instead. The analysis is by StepJockey https://www.stepjockey.com - a Department of Health seed-funded start-up. StepJockey was seed-funded by the UK Department of Health.... It seeks to combat sedentary behaviour in large office buildings, sedentary behaviour recognised as a major cause of long-term illness and lost productivity. The organisation uses energy and time saving data from published studies to calculate gains, which include reduced lift energy consumption, staff time saved and improved staff wellness and attendance. StepJockey points to research in the Canadian Medical Association Journal that shows that nurses using the stairs and ditching the lift will benefit from a 3 per cent time saving per day. PWC research shows sick days cost UK business nearly £23 billion a year and, on average, sickness absence costs employers 8 working days per employee per year. 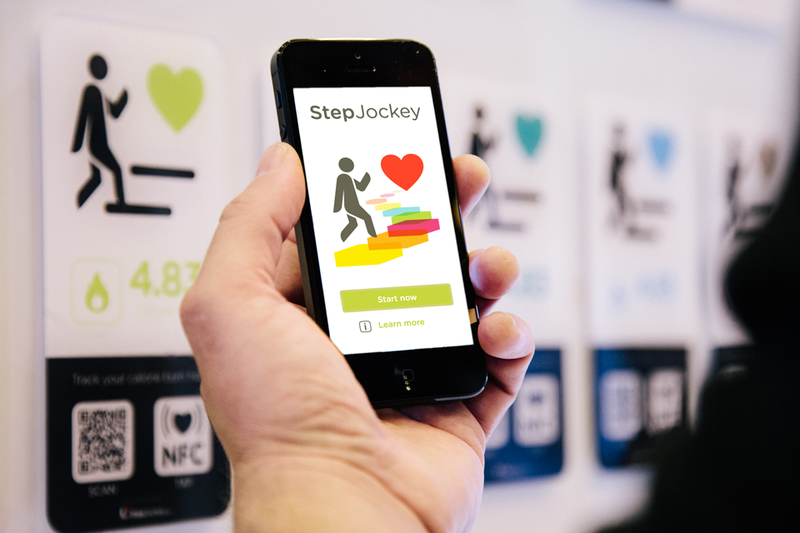 StepJockey uses evidence-based Smart signs, a mobile app and digital gamification to encourage stair use and build greater physical activity into people’s working lives. Typically it reports a 500 per cent increase in stair use when implementing its stair prompts alongside its Challenge platform. Stair climbing burns 8-9 times more energy than sitting and about 7 times more energy than taking a lift. Per minute, stair climbing burns more calories than jogging. A Harvard Alumni Study found that men who average at least eight flights a day enjoy a 33 per cent lower mortality rate than men who are sedentary. Other obvious benefits of increased stair climbing include reduced lift congestion, reduced carbon emissions and improved fire safety. Xperdon Charity News, headed in the UK by Alan Cole, an experienced award-winning journalist and copywriter. A September 21, 2016 Press release noted that StepJockey Ltd secured £600,000 in private investment [in addition to] a £200,000 SBRI (Small Business Research Initiative) contract from the Department of Health. The signs use near field technology and display calorie burn data for the stairs, increasing stair use in buildings by 20%-40%. The app can read the signs and record data on stair use. This allows employers to introduce stair climbing challenges that can increase stair use by up to 800%. Stair climbing burns 8-9 times more energy than sitting and 7 times more energy than taking a lift. It also burns more calories per minute than jogging. Just 7 minutes of stair climbing a day has been estimated to more than halve the risk of a heart attack over 10 years.